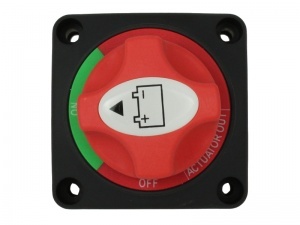 Marine Battery Isolator Switch, Removable Actuator - 2 Posn 200A Cont. 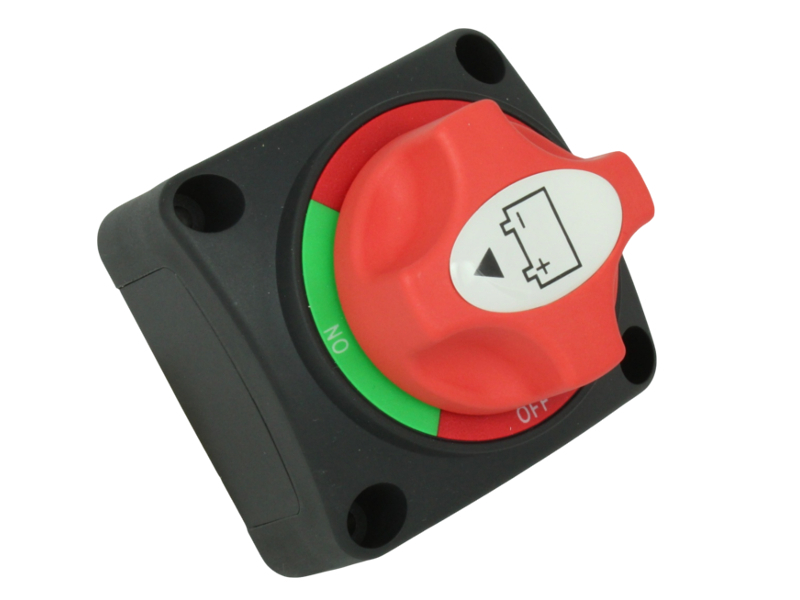 2 position (ON / OFF), single pole marine battery isolator / master switch rated at 200A continuous use. This switch has a very nice, positive switching action and the actuator knob can be removed by pushing it in and rotating it to the 'Actuator Out' position; providing a useful security measure. For isolation of a single battery, or bank of batteries, from loads or a charging source in boats and vehicles. Useful for preventing parasitic battery drain when left for long periods or as an emergency shut-off. Surface mounted with slide-out cable entry panels. 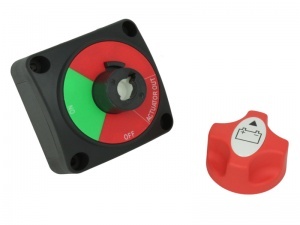 Note: If this switch is used to isolate a starter battery it should not be switched OFF when the engine is running (except in an emergency situation) because there is a high risk of damage to the diodes in the alternator rectifier unit. 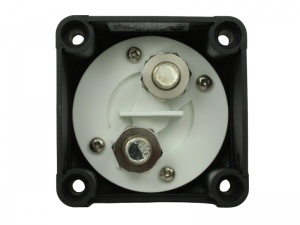 Smooth and comfortable action but cutting for cable entry in back plate not easy in cold weather. 6mm cable was a fairly tight fit so larger will be difficult. Very good service, thanks. Nice switching action and will work as an isolator. The cable entry is not great and its only one pole. 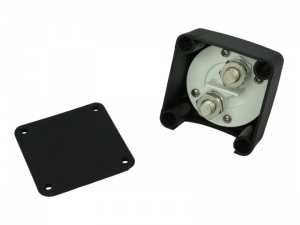 I'd prefer something that I could put cable glands on, like the switch mounted on a standard surface mount MK box. Great service and excellent quality when it arrived. Prompt delivery. Well made product. Totally satisfied.